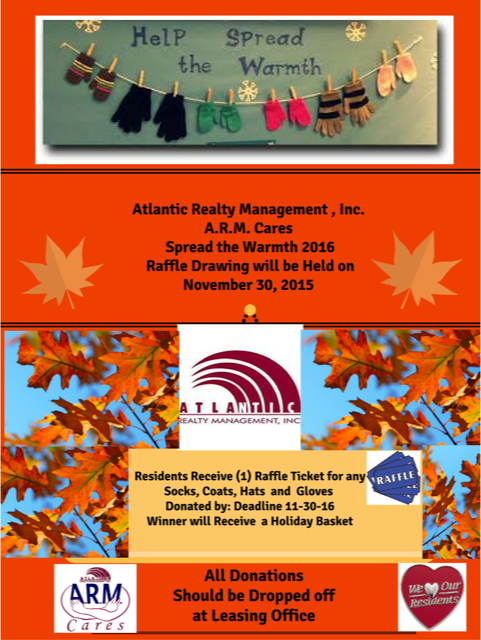 Atlantic Realty Management holding clothing drive! Atlantic Realty Mangement through their program ARM Cares is spreading the warmth this holiday season! ARM Cares is donating hats, socks, scarves, and gloves to the homeless in Baltimore City.